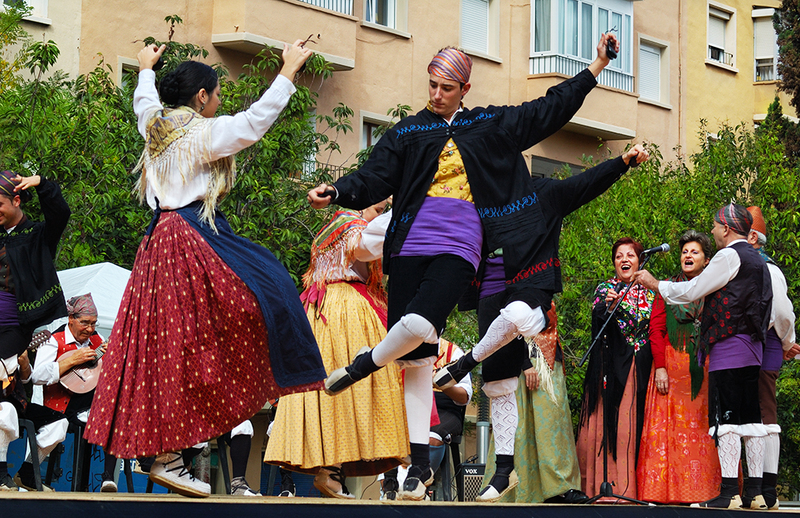 One of the best known traditional dances in Spain is what is known as La Jota (the same name as letter J). It probably originated in the region of Aragon although there are different forms in other regions like Valencia, Castile, Navarra, etc. Dancers move in this peculiar way elevating their legs as if they were doing some kind of fouetté combined with waltz like movements. In the meantime, they play the castanets with arched elevated arms. I wish I was there in person to see these beautiful dancers! They are exactly in unison.